What Are Treefolk Creatures in Magic? While elves are green's most abundant faction, don't overlook their treefolk cousins, powerful beasts with abilities that often support each other. You'll find a few members among the black and white armies, but most are true to their forest heritage with emerald hues. 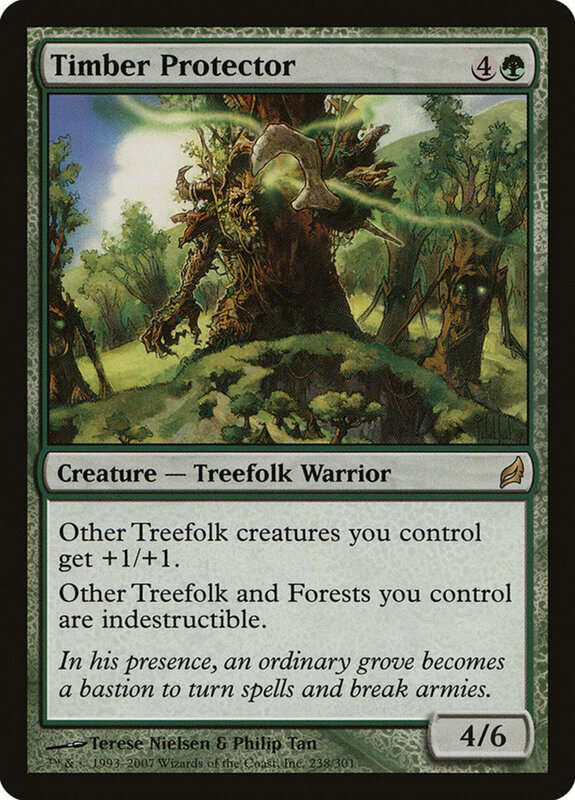 With impressive battle stats and reasonable mana costs, treefolk remain one of the most criminally underestimated clans in Magic. But with dozens of wood monsters available, which units reign supreme? 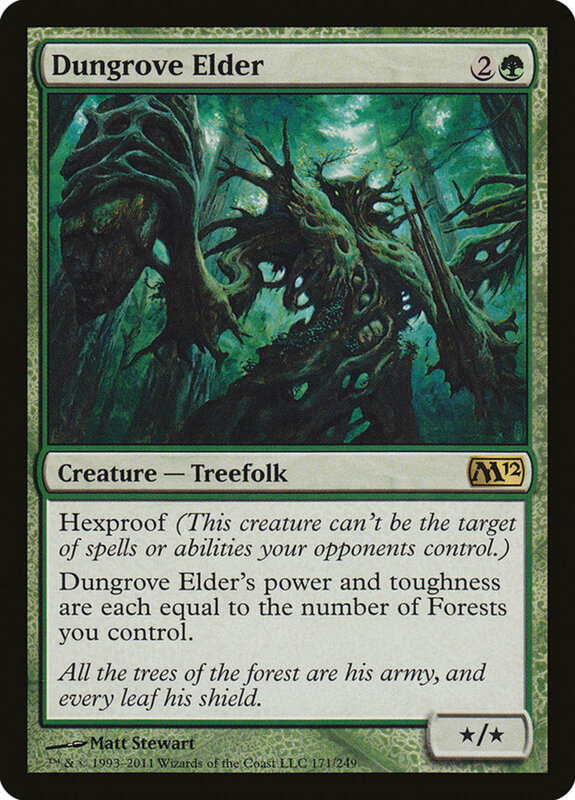 These are the ten best treefolk in Magic: The Gathering! A 3/5 (three power and five toughness) is a fair deal for four mana, and Elder offers the rare kinship trait. This means you may look at the top card of your deck at the start of your upkeep, and if it shares a creature type with Elder, you can reveal it to cast that spell without paying its mana cost! While a bit unpredictable, this handy ability saves you the trouble of both drawing and casting your fellow kin. 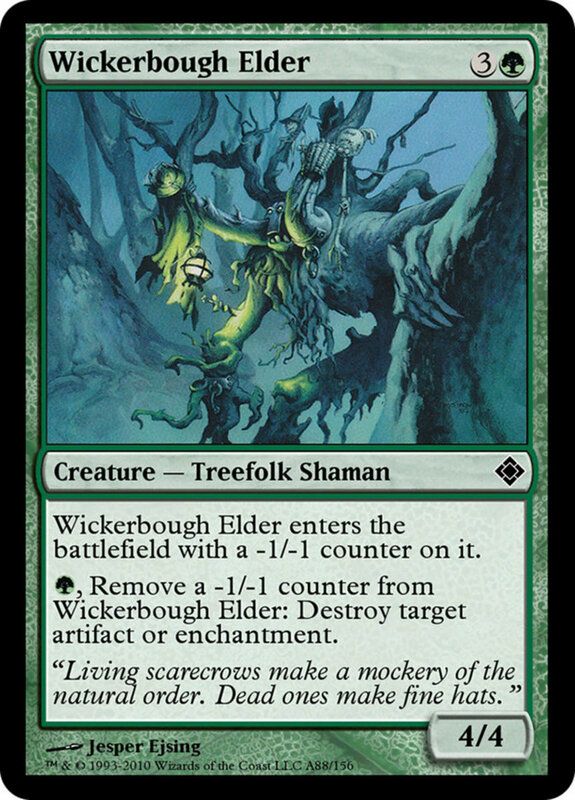 As a bonus, note that Elder is also a shaman, letting you play both treefolk and shamans for free! 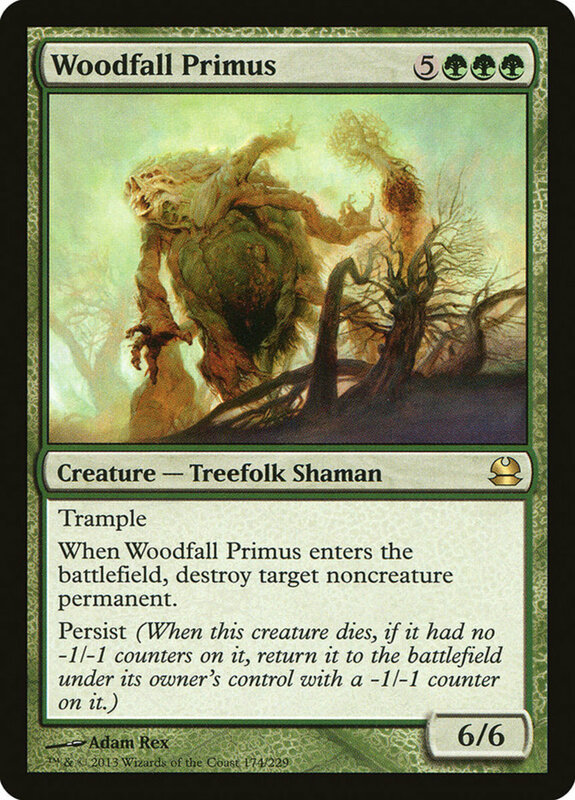 Woodland Primus costs a whopping sum of eight mana, and for such a huge price, his 6/6 stats aren't especially great. However, remember green specializes in mana ramp, and several of its units ("Elvish Piper", "Norwood Priestess", etc.) can field creatures for free. Primus justifies your efforts with trample, bleeding excess damage through blockers, and by destroying a noncreature permanent when he enters (use this for a rare land or planeswalker removal). 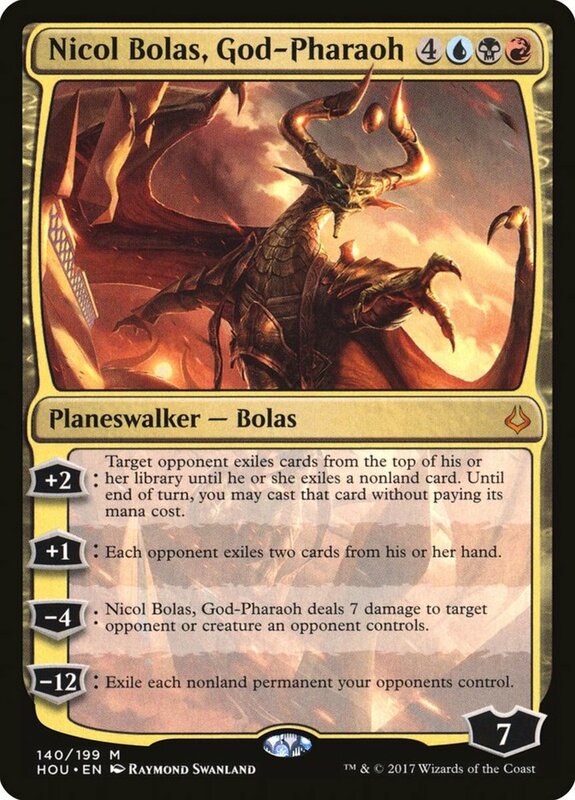 Even better, he also carries persist, letting him return to the field with a -1/-1 counter when he dies without one. Not only does this let you use him in battle again, it also reapplies his entrance effect! Wickerbough bears a solid 4/4 stat spread, although he enters with a -1/-1 counter, initially serving as a 3/3. However, by spending a green mana, you can remove a -1/-1 counter from him to destroy any artifact or enchantment! 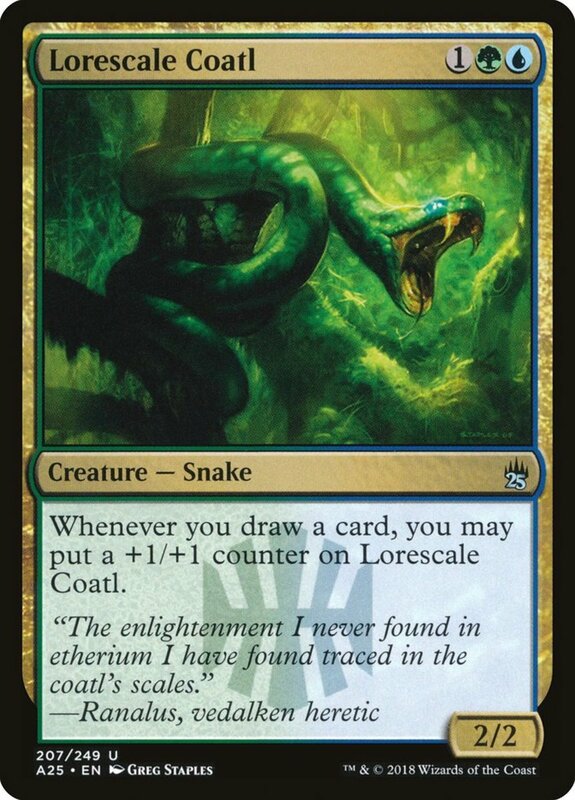 Thus, -1/-1 counters are surprisingly beneficial; use black spells or proliferate to add more, or simply hope your opponent is foolish enough to do the work for you. Remember, you can activate Wickerbough's effect at instant speed, letting you smash relics and enchantments as soon as they hit the field. Treefolk Harbinger only needs one mana and enters with a sturdy 0/3 considering his low price. 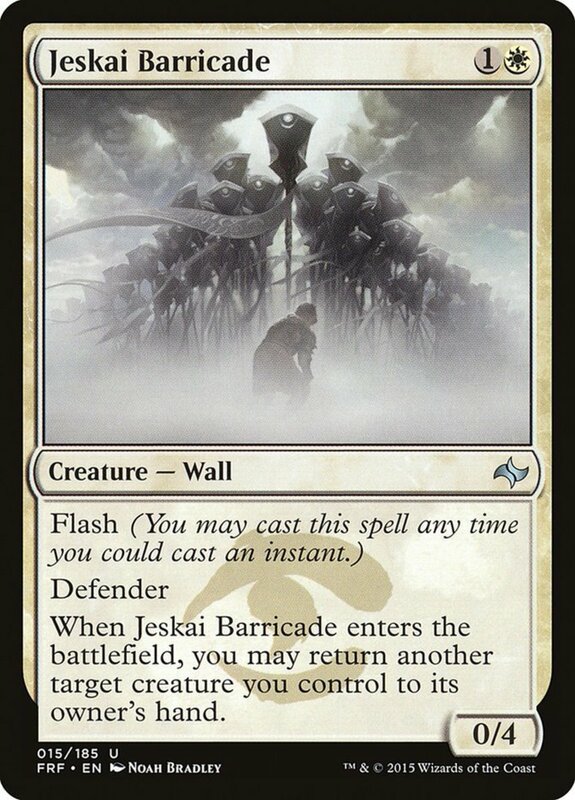 Thus, he acts similarly to a wall creature, but since he doesn't bear the defender trait, you can still attack with him if you ever wish to do so (perhaps if he's gained some +1/+1 counters). 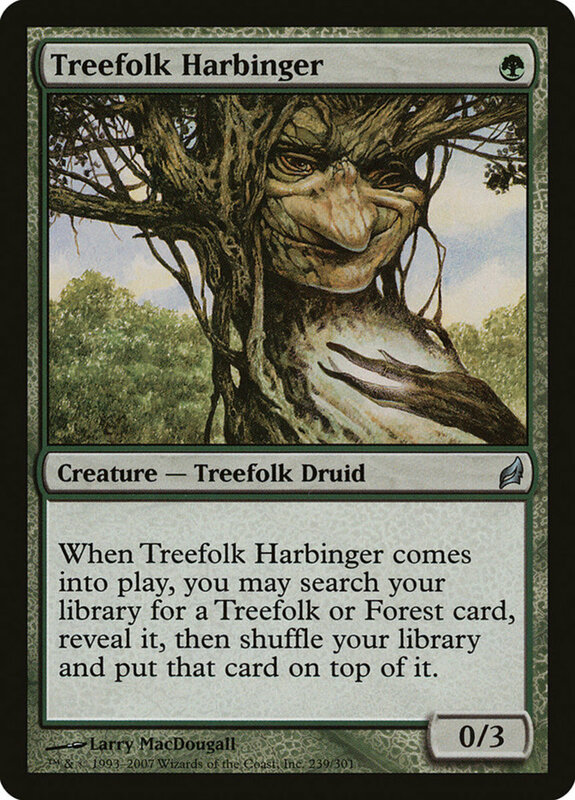 More than that, Harbinger lets you search a treefolk or forest land to the top of your deck when he enters the field, rigging your next draw to whatever your situation needs. As icing on the cake, he also brandishes the druid subtype, adding other potential clan combos. While he requires a hefty sum of five mana, Protector joins the fray with a nice 4/6 stats and the warrior subtype. More than that, he grants your other treefolk +1/+1, a modest but appreciated bonus that buffs your foliage. Then, he grants both your treefolk and forests indestructible, making them immune to the most common type of removal.. Handy on its own, combo this with mass creature or land wipes to nuke your opponents while emerging relatively unscathed. Just note that Protector himself lacks indestructible, so exercise caution when swinging with him. Storyteller doesn't harness any other subtypes, and his 2/3 stats are mediocre for his price, but he offers an excellent check non-monsters cards: whenever a player casts a spell other than a creature, their opponents may each draw a card. Use Storyteller in creature-heavy builds (which green excels at) to avoid the punishment while your opponents struggle to pick between forgoing their non-creatures or continuously refilling your hand. Like Storyteller, Dungrove is a three-cost treefolk with no additional lineages, but he enjoys two potent benefits. 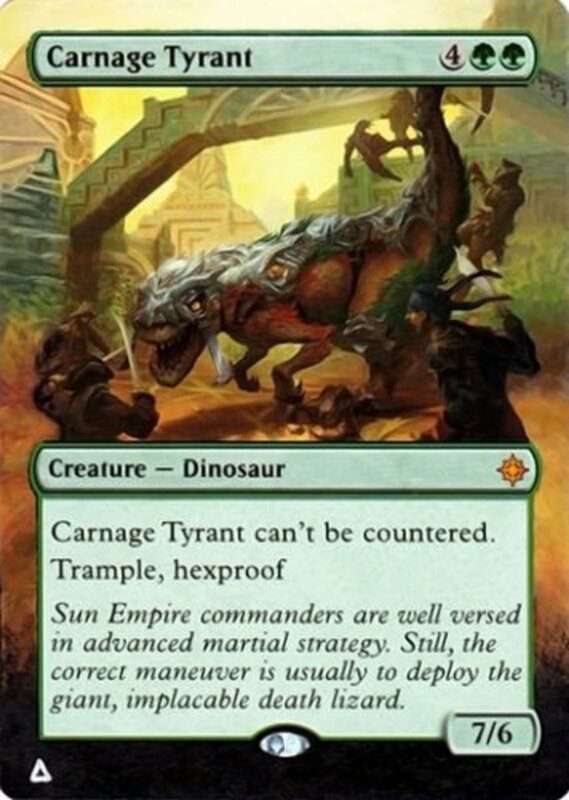 First, his power and toughness are equal to the amount of forests you control, letting him excel in monogreen decks and scale well even in the late-game as you collect more lands. Then, he has hexproof, preventing your opponent (but not you) from targeting him with effects or abilities. Thus, removing Dungrove either requires a rival to beat him in battle (not easy with his ever-growing stats) or use a rare board wipe—grant him trample to wreak havoc while foes scramble to eliminate him. 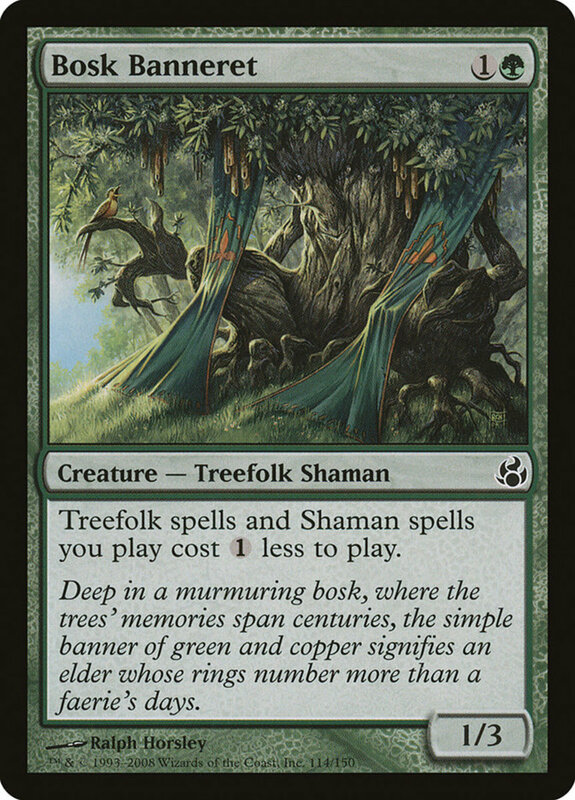 A 1/3 treefolk shaman who only drains two mana, Bosk reduces the casting cost by one colorless mana for your creatures who bear either of his subtypes. Now, don't get too greedy, as troops who possess both still only receive a single discount, but it's still an excellent way to quickly access your heftier soldiers. 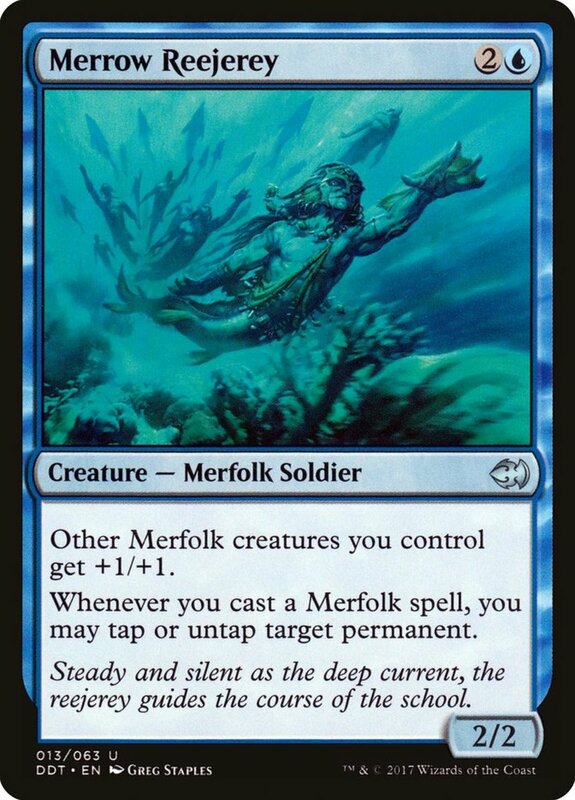 Comparing Bosk to blue's similar two-cost "Stonybrook Banneret", who reduces the price of merfolk and wizards, we see that Bosk easily eclipses her weaker 1/1 stats, although to be fair, she also has islandwalk. 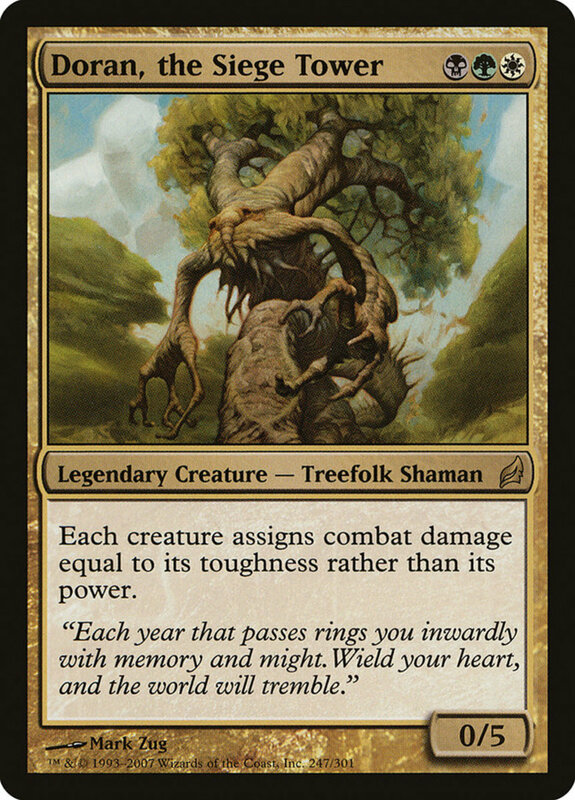 One of few legendary treefolk, Doran can serve as commander in EDH format, and he accesses not just green cards but also white and black. His stats only seem decent at 0/5, but Doran's effect makes all creatures assign combat damage with toughness instead of power, meaning he hits for five damage! That's an incredible deal for three mana, allowing your other treefolk and walls to swing with their superior toughness. 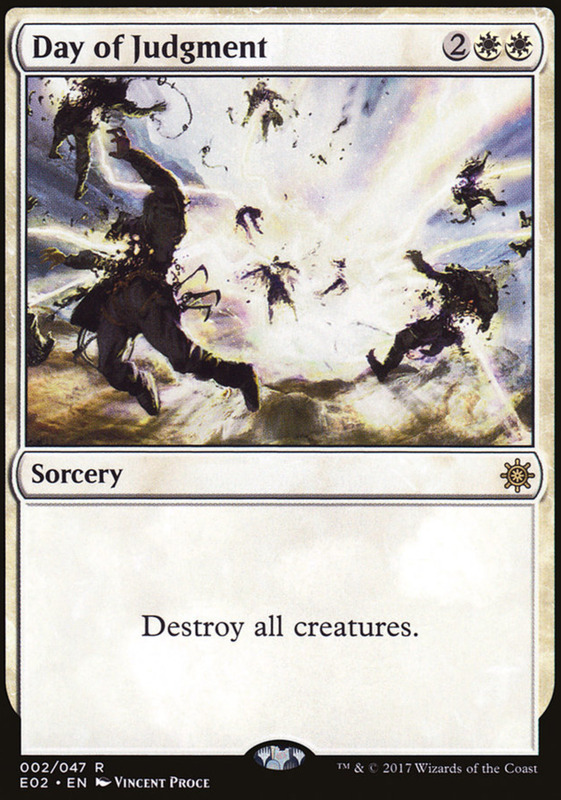 It also impacts your opponent's creatures, which often weakens them if they're playing aggressive strategies. Throw in the nifty shaman bonus subtype and you have a tree whose bark matches its bite. Treefolk/warrior Dauntless Dourbar's main ability is that his power and toughness are equal to the number of forests and treefolk you control! 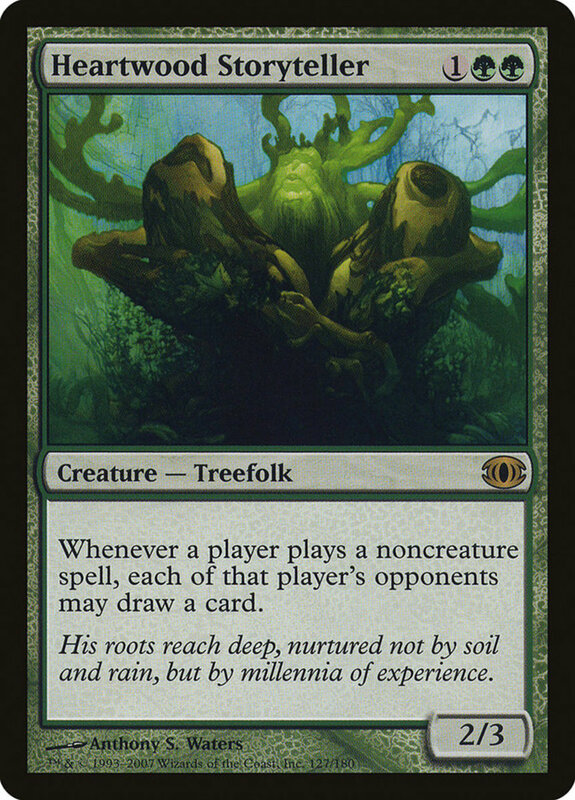 This tallies himself, your forest lands, and any other shrubs you possess, skyrocketing his stats in monogreen decks. 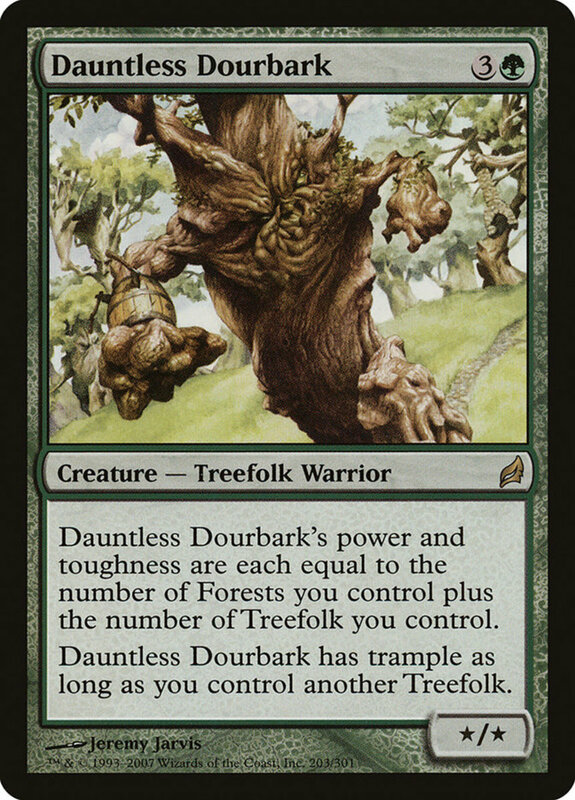 As if that weren't enough, Dourbark gains trample while you control another treefolk, making it difficult to halt his fierce rampage. Powerful, defender-piercing, and set at a very reasonable mana price, Dourbark is an easy fit for my green commander decks, and I'm honestly surprised that he costs less than four dollars! Treefolk are of course creatures, so anything that defends them or punishes monster targeting will help, like "Shapers' Sanctuary" and "Leyline of Vitality". Consider blending with units who bear flying or reach to defend against aerial assaults, and emphasize toughness over power if you're running Doran. 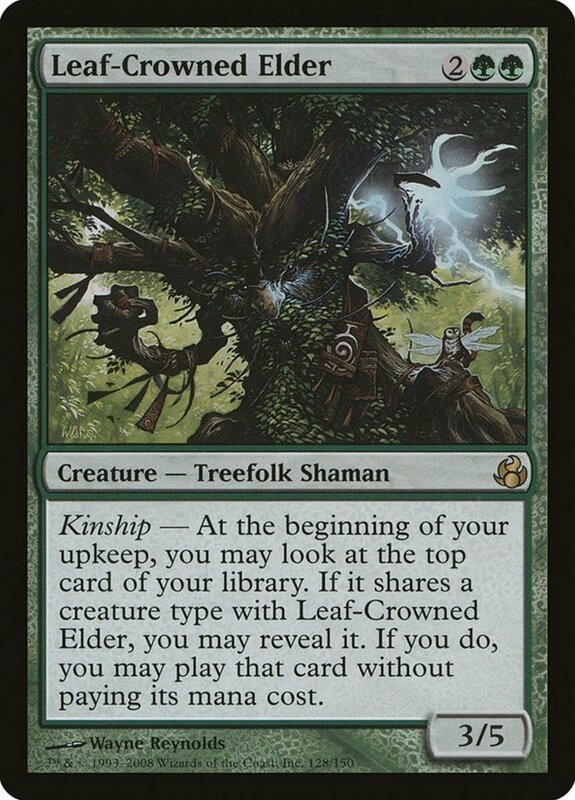 Remember, Bosk Banneret reduces the costs of both treefolk and shamans, while Leaf-Crowned Elder lets you potentially cast them for free, making shamans a great secondary faction to round out your deck. But for now, as we eagerly await Wizards of the Coast's next expansion of moss-growing warriors, vote for your favorite treefolk and I'll see you at our next MTG countdown!